This terrific, travel-sized Where’s Wally? book is full of searches, games and creative activities. Solve perplexing puzzles, personalise your travel checklist, design your own time machine and more. Plus, keep track of your own journeys with fun prompts, facts and challenges. 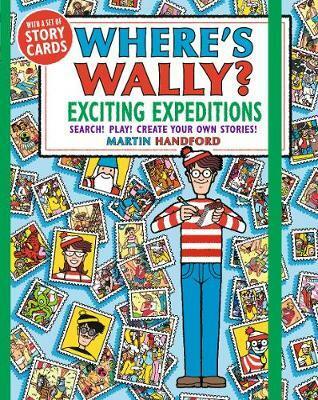 And don’t forget to search for Wally - he’s hiding in every scene! This search-and-find book also comes with a bonus sensational story card game! Fourth in a series of travel-sized Wally titles - look out for The Totally Essential Travel Collection, The Colouring Collection and Games on the Go! on your adventures!